Health Kick means just what it says! These tomatoes are packed with 50% more lycopene, an antioxidant that is helpful in preventing cancer and other diseases. Health Kick is plum-shaped, sweet and red in color. They are about 4 ounces when ready for harvest on the determinate vines. They look like a roma but are juicier and better for eating fresh. Outstanding Features: Resistant to Alternaria, Fusarium Race 1 and 2, Verticillium, Spotted Wilt and Bacterial Speck. 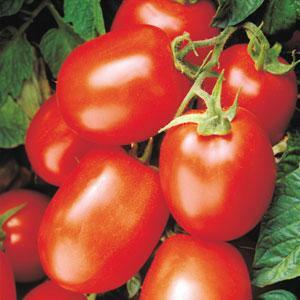 Click here to buy Health Kick Tomatoes directly from www.buygardenvegetables.com.